Sophie’s Diary is a work of fiction depicting a few years in the life of Sophie Germain, a female French mathematician, physicist and philosopher who lived from 1776 to 1831. This book starts in 1789, when Sophie is thirteen years old and has decided that she will become a mathematician, as she has been fascinated by numbers since childhood. The diary shows how Sophie goes about studying mathematics, where she starts with it and where she ends up in five years despite everything that is going on in France. 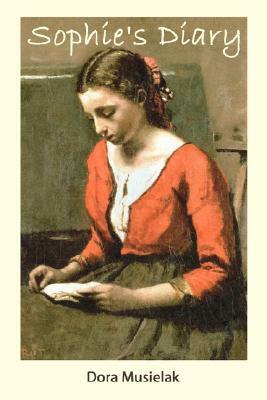 A solid part of this work of fiction is Sophie’s education – we see how she’s finding her way around in mathematics and also physics (or natural philosophy at the time), studying books written by ancient and historic mathematicians (starting with Euclid and Archimedes and ending with Euler, Newton and Leibniz), and translating some of those to French from Latin despite not having learned Latin. Another part is Sophie’s struggle in the beginning of the diary, to be allowed to study mathematics, as her mother doesn’t consider mathematics appropriate for a girl to study, but at the same time Sophie’s father is supportive and helps her find the necessary books etc. In addition to Sophie’s life, there are descriptions of event that were afoot in France from 1789 to 1784 – the French revolution, imprisonment of Louis the XVI and queen Marie-Antoinette and their subsequent deaths, the violence on the streets, the changes in society, etc. It is a great book, as it introduces a lot of mathematics and history in a simpler context, while being interesting and showing someone who is excited about learning algebra and geometry, which makes the book also motivational, as I think all books where the main character is working on self-improvement are. Although the diary is fictional, it was a fascinating read, since the mathematics and history in it are real. 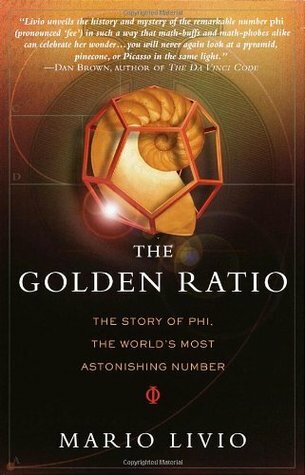 The Golden Ratio is a book about the irrational number phi, that is also called the Golden Ratio or the Golden Section and a lot of other names as well, as it has crept up in a lot of places. Livio tells the story of Phi – about the first mathematicians who noticed it or estimated the value of Phi, but also about some others whose work has had something to do with Phi – for example Leonardo Fibonacci – who is best known for Fibonacci numbers (1,1,2,3,5,8,13,21,34,55,89,… etc). Apparently the Fibonacci series has quite a lot to do with Phi – for example 21/13=1.61538, 34/21=1.61904, 55/34=1.61764 – the further down the line of Fibonacci numbers you go, the closer you get to the value of Phi. But that wasn’t the only awesome thing – there are lots of other connections between phi and other mathematical concepts, science and art. Overall it’s a very illuminating read. Although it’s about mathematics, and numbers, it isn’t as scary as one might think – all in the levels of decency, it’s a highly readable book and should be of interest even if you’re not into science, but for example art – as you can also read about whether or not some artists have used Phi in their artwork, the same with poets and composers. It was a truly fascinating read, as there are a lot of examples, if you’re that way inclined you can do some calculations while reading it, but you’ll definitely find out some interesting facts about the history of mathematics. I think that almost every subject deserves a chance. And mathematics is actually at least in my top five favourite subjects to read about… although since astronomy, physics, history of science and geology are the top four, maths rarely gets a chance. 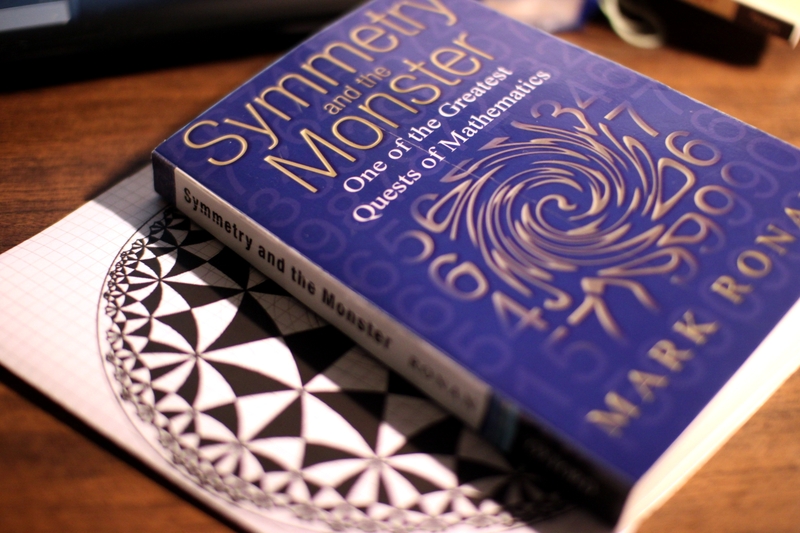 “Symmetry and the Monster” is, as the title suggests, about symmetry and a mathematical group called the Monster. It tells the story of the latter’s discovery and does it so well that the book seems to be almost a mathematical detective story. Although I must warn you, it contains mathematics, and I believe I’ll have to return to the book at least once more to gain even a little understanding of what the Monster means to mathematicians. It had a lot of funny/interesting stories or anecdotes incorporated and also a little about some of the mathematicians who worked on group theory and the Monster, (Galois, Lie and Conway for example). It was a great read, but not something I’d recommend for light reading, choose a popular physics book instead!